“Customers have raised their expectations. The whole framework has changed,” said Frans Muller, chief executive of Royal Ahold Delhaize NV, which is trying to boost sales of its Peapod grocery delivery service. Peapod has previously ·said it is profitable in only a handful of its markets. For now, it’s an expensive slog. Kroger Co. reported lower profit on Thursday for its latest quarter, in part due to investments of hundreds of millions of dollars in online operations, and its shares fell 10% that day on the news. Although grocers and restaurants have their own separate challenges, they face similar problems. Both are dependent on foot traffic and have fallen behind other retailers in adopting order-taking technology. Both operate on low margins—typically 15% to 19% for restaurants for dine-in customers, and 1% to 3% for grocers—and customers are only willing to pay so much for convenience. “I’ll be honest, it’s not easy,” John Mulligan, chief operating officer for Target, said in an interview. Target bought online grocery service Shipt Inc. for $550 million in 2017. “From a pure relevance standpoint, you have to figure it out, because that’s how shoppers are going to interact with you,” he said. Walmart now offers grocery delivery through nearly a half-dozen third parties and through Jet.com, an e-commerce site it bought for $3.3 billion in 2016. Delivery sales are growing, but the company says its e-commerce losses are expected to increase this fiscal year. 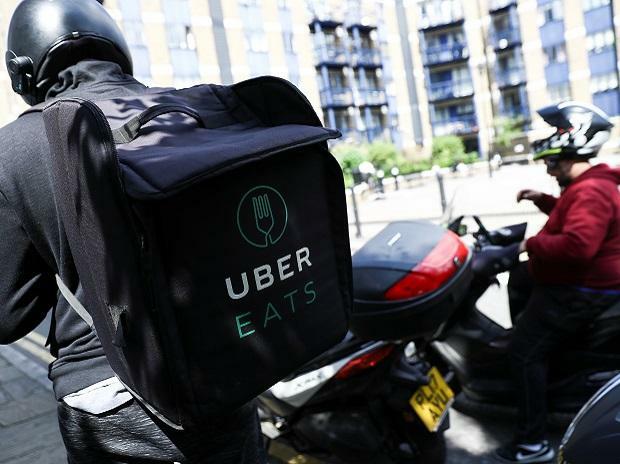 Yet few chains can afford to do delivery themselves, due to the cost of developing order-taking technology and of employing drivers. Restaurants need to generate at least 25% to 30% of their orders from delivery for the labor economics to make sense, according to Dylan Bolden, senior partner at Boston Consulting Group. Venture-capital firms put $5 billion into U.S. food and grocery delivery services last year, more than four times the amount they invested in 2017, according to data provider PitchBook Data Inc. Some, including Postmates Inc., are considering public offerings. Food sellers pay the services an average fee of 10% to 25% on each order, which means the actual deliveries often lose money. Better placement on the services’ websites or apps costs even more.